GPS - Highway Falls, 1.2km el. 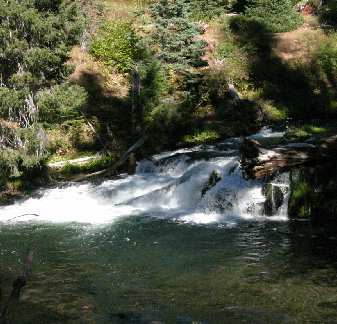 Highway Falls is south of Diamond Lake. Highway Falls (aka Lower Rogue Falls) is visible from the gravel area. There are no facilities.